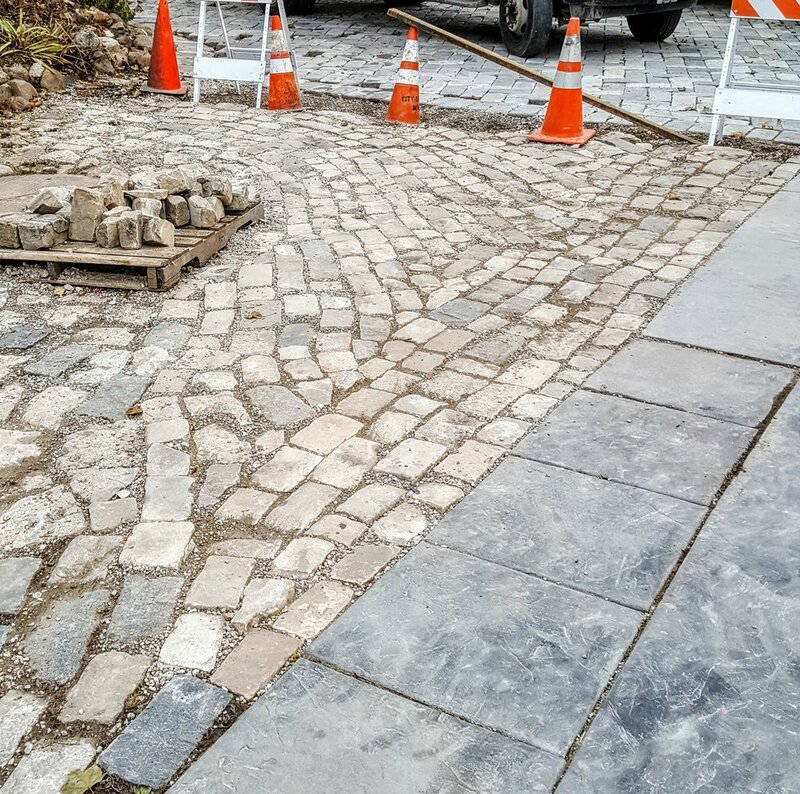 ALL TERRAIN CONSTRUCTION can install the traditional driveway to meet your exact specifications. ATC can do it skillfully and economically to instantly increase the value of your home. For those who want something unique, we can work with you on the design of your dreams. We are the premier professionals to call for any concrete installation. CONTACT US for a no obligation in-home consultation. We love talking ‘concrete’ and showing the many ways it can increase the value of your property. We take measurements and discuss options. Within days, ATC can give you a written estimate. ALL TERRAIN has been serving the Greater Milwaukee Area since 1999. We take pride in each finished project. All Terrain’s driveways and patios have increased property values in the North Shore and throughout surrounding suburbs. Much of our business now comes from referrals and repeat clients. We also welcome new clients. 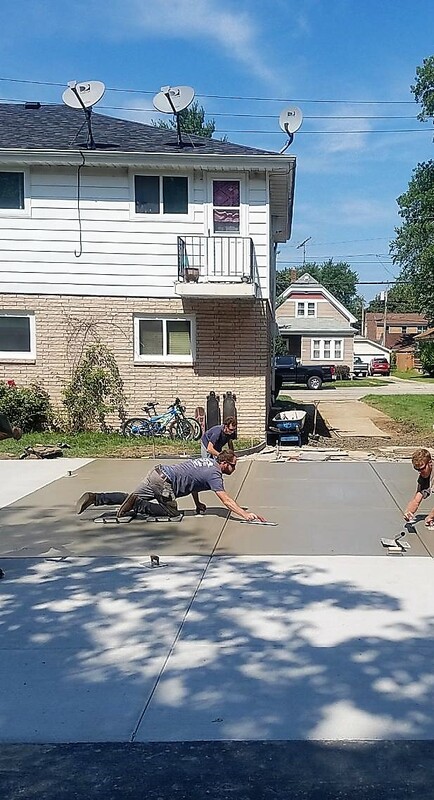 OUR CREW is the new generation of skilled and dedicated concrete workers. Three have been personally trained by Scott to follow in his footsteps. Scotty, Brandon and Cody are the three sons as committed to the family business as their Dad. Like him, they are perfectionists. They start the job on time. They finish on time, weather permitting. 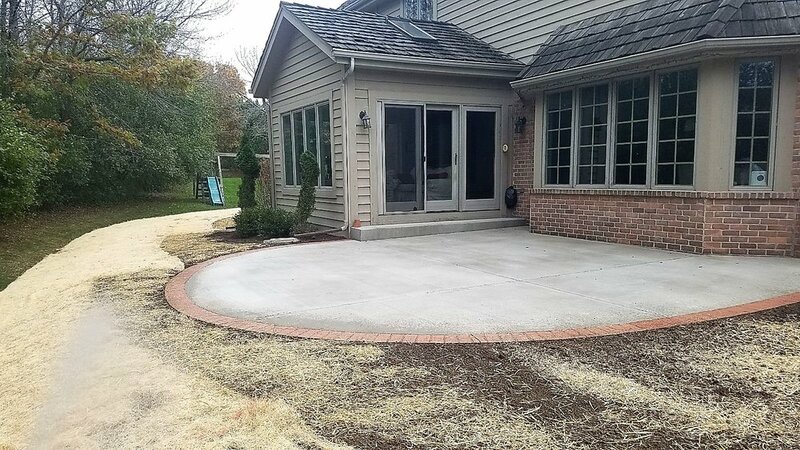 They leave the homeowner with a meticulously-constructed driveway, or other concrete installation. Scott, the founder of All Terrain Construction, is proud of their expertise. As a proud homeowner, you want to see your house as others see it. The first thing visitors do is turn into the driveway. Do they notice the house first? No. First they notice the driveway they are entering the property on. Is it neat? Is it plain gray or is it unique in some way? A colored stamped driveway can match the brick on your home. The color can blend with the siding on the home. You can have one these features. You can choose to have bright flowers bordering the driveway. Imagine coming home to this vision every day. Imagine how proud you will feel about the exterior landscaping as you enter your property on this magnificent driveway. Imagine knowing the concrete is durable and will look this beautiful decades from today. Rinse it off with the hose after a dusty summer week. Shovel or plow the snow away during the wintry weather. Underneath – you will always have the handsome color or pattern. It won’t fade or crumble. Asphalt crumbles. Concrete lasts a lifetime.